Situated on the River Crouch and just a short distance from the historic town of Chelmsford. The five star luxury Residential Park in the Essex countryside at Hayes Country Park really has something to offer everyone. A well established waterside park enveloped in attractive countryside surroundings, with superb on site facilities. With the country club overlooking the river Crouch, the park is famous for its sailing, canoeing, fishing and country walks. So whatever your interests, there is something just for you. They are also pet friendly!! This stunning Residential Park in this stunning location just five minutes from South Woodham Ferrers, Essex. Boasting all essential amenities including direct train route into London, and just a short distance from the historic town of Chelmsford, famous for inventing the radio. The seaside towns of Southend –On- Sea and the picturesque Thorpe Bay, are both just a short drive away. Just some of the superb Essex towns and seaside. We recognise the need for change in peoples ideas for Mobile Park living, and have met those requests by redeveloping specific areas of the park to accommodate some beautiful fully furnished Park Homes. Each with two block paved car parking spaces, spacious balconies and grassed areas. Hayes Country Park is a unique location for a second home. Less than 30 miles from London and only a short drive from the famous holiday resort of Southend-on-Sea, Hayes rests in over 25 acres of greenbelt parkland by the banks of the River Crouch. The informal atmosphere of the Park is an ideal environment for relaxation, whether chatting with friends, doing a spot of gardening or taking a leisurely stroll through the countryside. Excellent stables are near to hand and cater for beginners and skilled riders alike. There is also a special play area and woodland adventure trail for the children to explore. The River Crouch, famous for its sailing provides the main focus for outdoor activities, with adequate mooring facilites, and a purpose built landing stage. Try your hand at sailing, canoeing, windsurfing, water skiing, or if you prefer, swimming, fishing or just watching – at Hayes the choice is yours. Enjoy a drink and a chat with friends at our splendid, fully licensed Clubhouse overlooking the river. Its cheerful atmosphere, live entertainment and discos at the weekends, special party nights and children’s entertainment, all contribute to that ‘Getting away from it all’ feeling. A visit will show that by choosing the right plants for the right places and by working with the prevailing conditions, it is possible to create a garden of beauty. Hayes Country Park is a Premium Residential Park to enjoy the twighlight years, semi retired or fully retired this park has it all. We have a special relationship with the UK’s Premier Manufacturers Like Statley Albion Park Homes, Prestige Park Homes and Omar Park homes meaning we can supply any of their Range on our park or better yet a Bespoke version built to your specification around your needs. And if for some reason Hayes in Essex is not for you, Check out our other Residential Parks, Yarwell Mill Country Park in Cambridgeshire close to Peterborough and the lovely Woodlands Residential Park in the Heart of Kent. Call or Contact Us now for more. 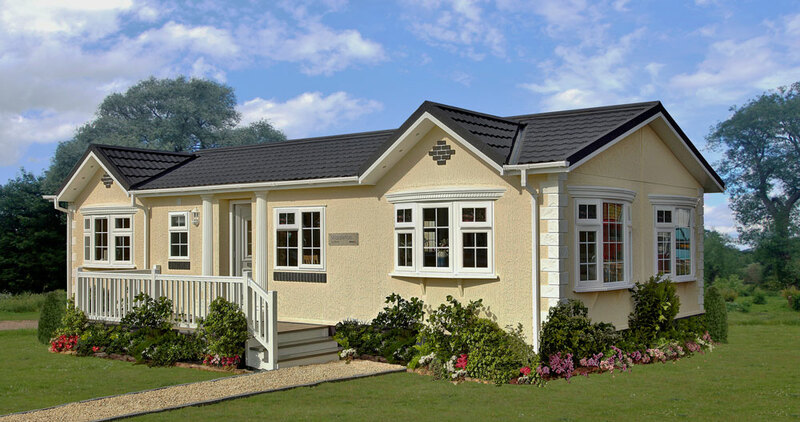 Arrange a visit to Hayes Country Park today to view our Park Home selection. Its also set in over 30 acres of beautiful farm land surrounded by 300 acres of country park on the edge of the River Crouch. For more information on Marsh Farm click here to visit their website. Tropical Wings Zoo is certainly one of the best interactive zoo attractions in Essex including one of the finest tropical houses in the UK, it’s a unique location where you can experience a tropical feel on any day of the year. It is just as entertaining for yourselves as well as the family and well worth a visit. It is also a good choice if the weather is not so good. For more information on Tropical Wings Zoo click here to visit their website. Whether you are buying or selling Battlebridge Antiques is a fascinating visit. Located in a range of old buildings and courtyards it has a large range of antiques, collectables, crafts, architectural items, garden ornaments, fireplaces and reproductions. It is situated just off the A130 on the banks of the River Crouch, midway between Chelmsford and Southend. There is also a motorcycle museum open on Sundays with a large showground hosting various events throughout the year. It is open 7 days a week. For more information on Battlesbridge Antiques Centre click here to visit their website. The Warren has many fine attributes including a prime location just a few miles from the thriving towns of Chelmsford and Maldon, a stunning woodland setting and a golf course of immense character and charm. The Warren Golf & Country Club warmly welcomes visitors and non-members throughout the week with options to provide catering before or after your round of golf. For more information on The Warren Country Club click here to visit their website. Maldon town on the black water estuary is a scenic country market town, with the famous Promenade and water park just 15 minutes away. Maldon has a great deal to offer including shopping, many different high street brands, independent shops and lovely boutiques. It is a beautiful town with museums and attractions. The promenade park is a wonderful day out with many quaint pubs and restaurants to suit all tastes. For more information on Rutland Water click here to visit the website. Come along this weekend to Hayes Country Park, view our latest Show Homes find the Golden Egg in one of our show homes for sale and deposit this weekend only for a reduction £10,000 off the sale price of the park home. We also have Easter Egg hunt and Children`s Easter Bonnet making in our onsite Clubhouse on Sunday join in the fun and bring children along too.